The island of Great Britain is the largest island of the British Isles. A map view showing the largest of the British Isles. A group of islands located in the North Atlantic Ocean, the British Isles comprises of the islands of Great Britain, Ireland and thousands of other islands and islets. These islands are located off the north-western coast of continental Europe. The islands of the British Isles together cover an area of 315,159 square km. The United Kingdom and the Republic of Ireland are the two sovereign nations that are located in the British Isles. The largest island of the British Isles is Great Britain which is also the world’s ninth-biggest island. It has an area of 209,331 square km. The Ireland island is located to the west of Great Britain. The island is politically part of the UK. Most of Scotland, England, and Wales are on this island. A maritime climate prevails here. The island is part of the European continental shelf. The English Channel and the North Sea separates the island from the rest of continental Europe to the east. The world’s longest tunnel below the sea, the Channel Tunnel, connects the island to the mainland Europe. Great Britain is surrounded by more than 1,000 island and islets. The island of Ireland is Europe’s third biggest island and second biggest in the British Isles archipelago. The island is 81,638 square km in size. The island is politically part of Northern Ireland of the UK and the Republic of Island. Ireland has a central plain surrounded by low-lying mountains and several rivers. Like Great Britain, the island also experiences a mild climate. The landscape here is covered by lush vegetation that is supported by the favorable climatic conditions. 26 species of mammals call this island their home. Part of the archipelago of the Outer Hebrides, the island of Lewis and Harris is the third largest island of the British Isles by size. The island covers an area of 2,179 square km. Politically, the island is part of Scotland of the UK and is the largest Scottish island by both size and population. The names Lewis and Harris apply to the northern and southern parts of the island, respectively. The landscape of Harris is highly hilly with over 30 peaks that are taller than 1,000 ft. Lewis is, however, relatively flat. With an area of 1,656 square km, the island of Skye is the fourth largest island in the British Isles. It is part of the Inner Hebrides archipelago where it is northernmost and the largest island. The central part of this island is dominated by the landscape of the Cuillins, a range of rocky mountains. Peninsulas of the island radiate out from the center. Mainland is the main island of the Shetland archipelago in Scotland. It is the fifth largest island in the British Isles by size. It has an area of 969 square km. It is also the third biggest island in Scotland. 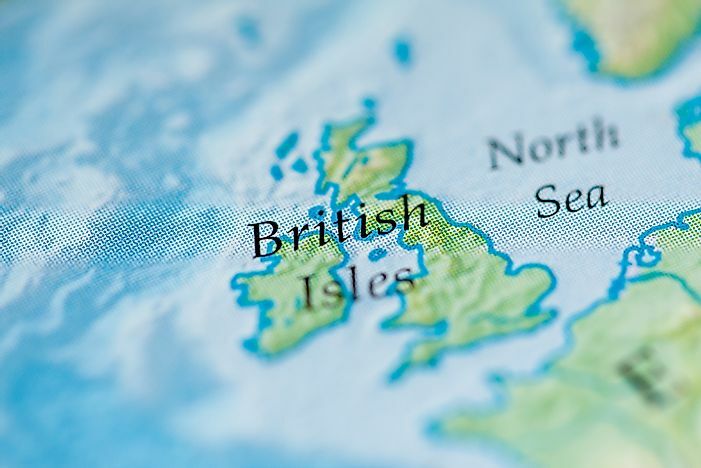 What And Where Are The British Isles? How Big Is An Olympic-Size Swimming Pool?